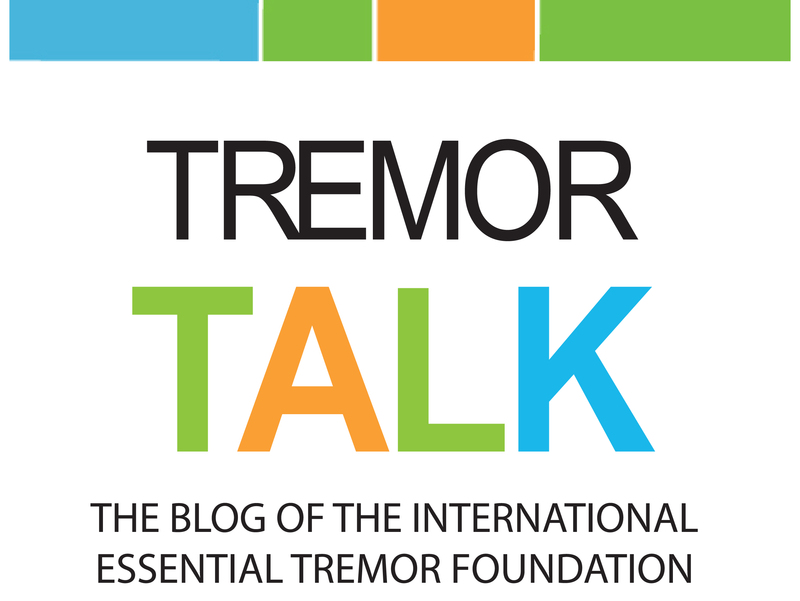 Tremor Talk magazine is back on schedule. 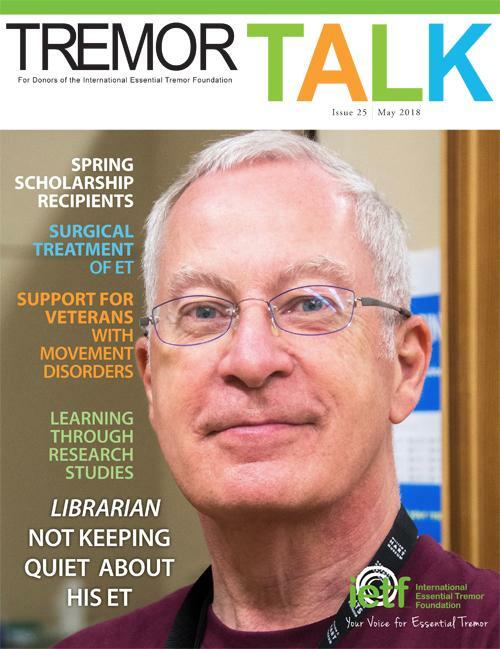 We missed the January issue (due to some staff changes), but the May issue is packed full of good information and should be arriving in mailboxes within the next couple of weeks. 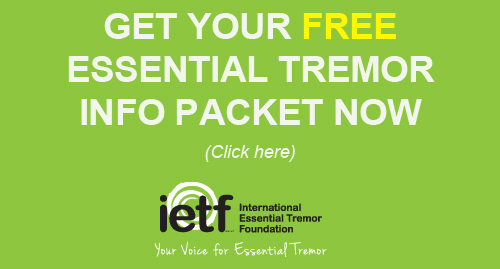 Tremor Talk is mailed to annual donors of the IETF. (An annual donation helps cover our printing and mailing costs.) It’s published three times a year. If you are not an annual donor, make a donation today so you will be on the mailing list for the fall issue. Try it for a year and see what you think! Past issues can be viewed on our website. A new wrist-worn device that provides relief of essential tremor in the hands has received clearance from the US Food and Drug Administration (FDA). Developed by Cala Health, “Cala ONE” is the first-ever, non-invasive nerve stimulator to receive FDA marketing authorization. The device is worn on the wrist like a smart watch to deliver electrical stimulation to nerves through the skin. It can be worn all day to provide on-demand relief at home, in social settings, at work, or whenever patients desire relief. This new device is a noninvasive treatment option for ET patients as a standalone therapy or in addition to medication. Cala is working on improving some of Cala ONE’s capabilities and plans to have the updated device available in 2019. If you want to keep up with the latest news on its availability and learn about new user trials that may be happening, go to the Cala website and sign up for their “stay in touch” mailing list (scroll to the bottom of the homepage to find the form). 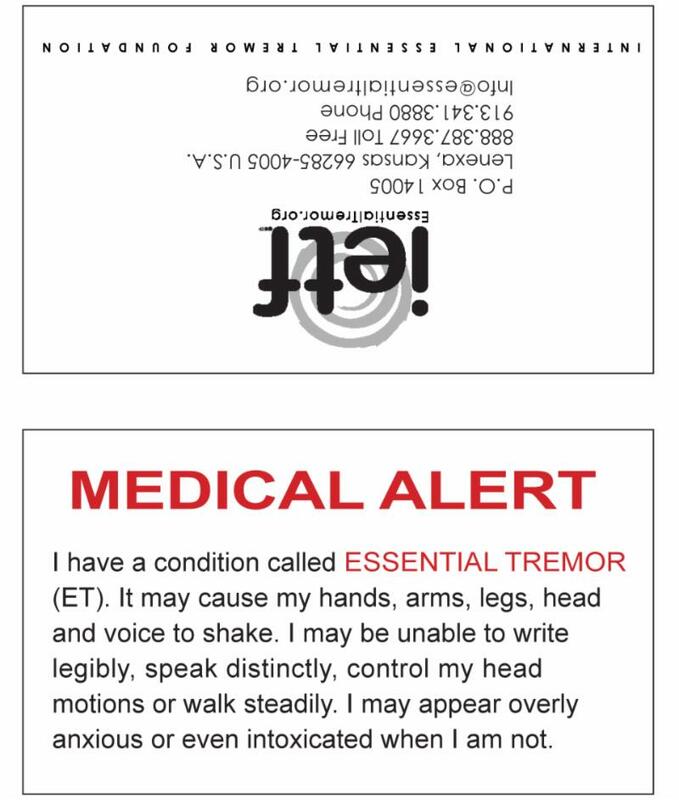 Did you know the IETF offers FREE ET Medical Alert Cards? They are available to anyone in the ET community. You can carry them in your wallet or billfold in the event of an emergency or to show to others who might have questions about your condition. The cards state, “I have a condition called Essential Tremor” and explain what ET is. They contain a section where you can list emergency contact information, including a doctor’s name and any allergies. How can you get yours? Request one through our website.